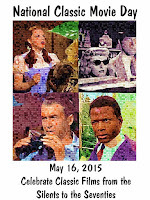 Today, we are pleased to host the My Favorite Classic Movie Blogathon in support of first National Classic Movie Day. Last year, a grassroots campaign was started to make Saturday, May 16th, the first National Classic Movie Day. The intent is to celebrate classic films from the silents to the seventies. And what better way to pay homage to classic cinema than write about one's favorite film? For this blogathon, over 60 film buffs have written posts about their favorite movies--which range from The Abominable Dr. Phibes to You Can't Take It With You. There are silent films (The Big Parade), foreign-language films (La Strada), and many classics from Hollywood's Golden Age. The complete schedule is below. Please check back frequently as links to the reviews will be added throughout the day. 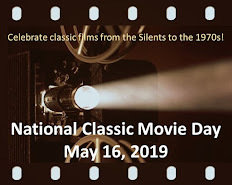 The Cafe wants to thanks all the blogathon participants and wish everyone a happy National Classic Movie Day! My Man Godfrey - Carole & Co. 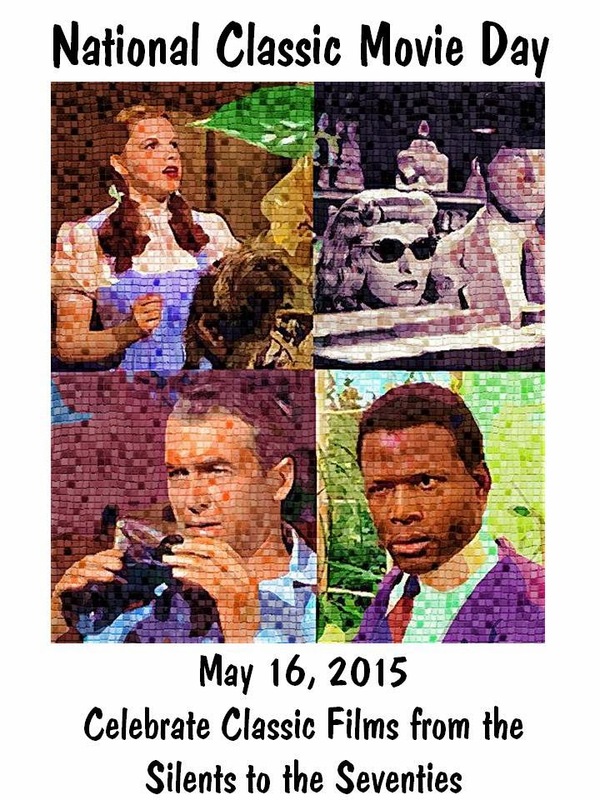 This post originated on the Classic Film & TV Cafe. If you are reading it on another site--such the World Cinema Blog--that scraped this content, please go to the legal web site. Looking forward to seeing what Carole pic you pick! Thanks, Vincent! Love your poster, too. This is exciting. Count me in. I've written about some of my favorite movies before, so I will write about another one of my favorites that I haven't written about before. How many films are we allowed to write about? Would it be ok if I did two? Write about my favorite silent and my favorite talkie? Crystal, I'd prefer to stick with one film per person. So...what's your favorite fave? Hi Rick. Put me down for "The Spiral Staircase". 1946. Really looking forward to this! Some wonderful films here. Hi, this is Dan from the Hitless Wonder Movie Blog. Would I be able to write about the original 1977 "Star Wars"? That sounds great, Dan! I'll add you to the schedule. I think I have your e-mail, but would appreciate it if you could e-mail your selection, too. 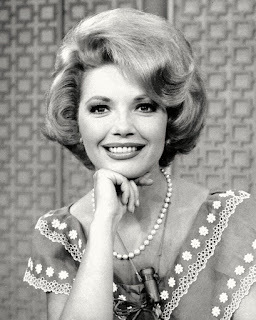 My blog is: In The Good Old Days Of Classic Hollywood. Crystal, the blogathon is May 16th, so did you intend to post your "Spiral Staircase" review now? Also, please send a note to blogathon@classicfilmtvcafe,com so I have your e-mail address. Thanks! Hi Rick. No, I'm going to write another piece on "The Spiral Staircase" for May 16th. I will send you an email. i am joey,form wolffianclassicmoviesdigest. i will post a artcle about wizard of oz. thanks so much. I'd like to participate. There are so many great films it is hard to pick only one favorite. Please put me down for the Billy Wilder comedy, The Major and The Minor. My blog is portraitsbyjenni@wordpress.com and I'll have my post ready for May 16th. Sounds great. Will be there. Hi there, I'm CineMaven and I would love to participate in your upcoming blogathon about our favorite movies. I'd like to wax on about Hitchcock's "VERTIGO" my favorite classic film. I'll send you an e-mail in hopes of being included. Thanx! Hello, Michaël from Le Mot du Cinephiliaque (cinephiliaque.blogspot.com) and I'd like to pen down a review of THE RED SHOES as my contribution. By the way, excellent idea for a blogathon! Michaël, I added you to the school, but still need an e-mail address. Please send it to blogathon@classicfilmtvcafe.com. Thanks. Hello! This is Anna of Defiant Success (http://movienut14.blogspot.com), and I would like to discuss Sweet Smell of Success. Hi! This is Meredith (vitaphonedreamer.wordpress.com). Would I be able to contribute by writing about "Meet Me in St. Louis"? That would be fine, Meredith. Please send me an e-mail at blogathon@classicfilmtvcafe.com. Wow, this seems like an interesting idea for a blogathon, but I have no idea where I'd begin in choosing my favorite classic film. There's so many to choose! 'Tis true--but you could pick "one" of your faves! As I have already written about my favourite film of all times, Some Like it Hot, I'll go with my absolute second favourite: Bringing Up Baby! :) It will also be a nice way to honour Katharine Hepburn as it is her birthday in May! Hello, I would love to review "A Streetcar Named Desire". Thanks for the opportunity. Shwyny, please send an email with your blog's web address to blogathon@classicfilmtvcafe.com. Hello, could I write about Journey's End for Sister Celluloid? Thank you!! Just wanted to let you know that Journey's End is up; thank you so much for letting me participate -- and Happy National Classic Film Day!! And my post is up! Thanks again for putting this togther! Thanks for hosting this terrific blogathon--loving reading all the posts! Here's my entry on "The Spiral Staircase". Thanks for adding my blog here! I had a great time writing about my favourite movie! Here's my entry for Bringing Up Baby! Wow! That was quick. Thanks, Rick, for being so understanding. I love the Wizard of OZ movie..